You know what found art is? Well, it's anything that you find that you think is artful. Here are a bunch of old cans. If I picked them up and made an ornament, say, chimes, out of them to put in your backyard, the cans together would be found art. 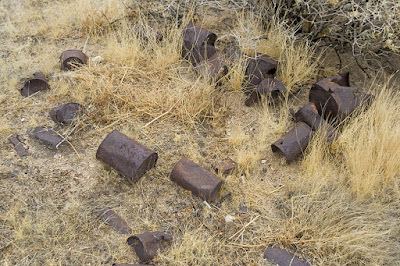 The desert if filled with found art opportunities. You can take a hike on any number of vacant lots in Palm Springs and find all kinds of interesting stuff. One time I found a full movie screen (you know the kind, they are used in classrooms and extended from a steel pole). 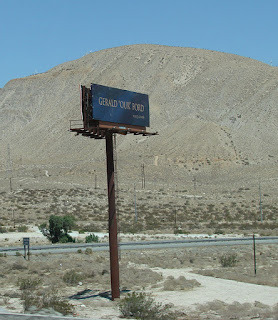 If you go up to Desert Hot Springs, you'll find a large selection of furniture, dishes, mattresses, all kinds of things. I want to bring stuff to my back yard to give it a rustic look, however, my partner would kill me. I was on my bike the other day and spotted this bell tower just off Tahquitz. 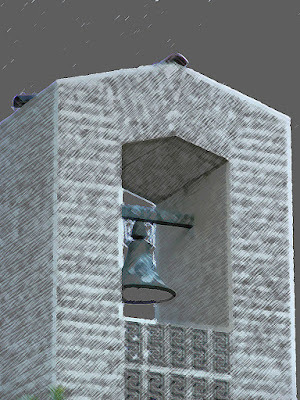 I decided it wasn't a very good picture so I applied the color pencil filter in Photoshop to it. Plant/flower shot with camera pointing into the sunlight so that the light peeks out from the plant. Anyone know what type of plant this is? 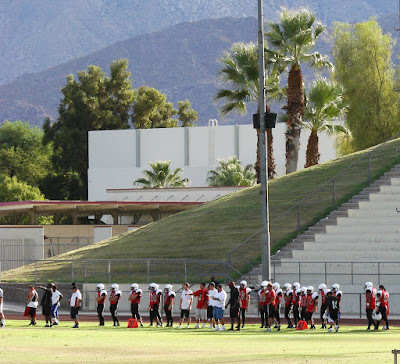 They call themselves the Palm Springs High Indians. 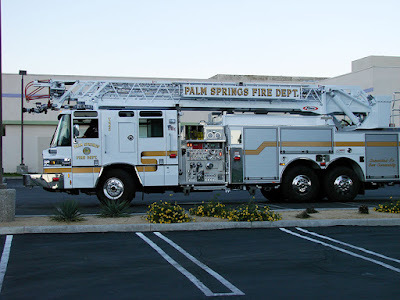 Another not-so-PC moment in Palm Springs. 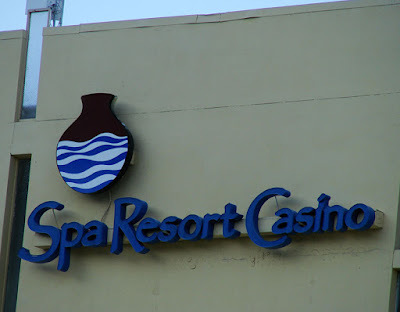 Our casino, the Spa Casino, is located right downtown. It's a fairly nice place, not on par of Las Vegas, but clean and well-maintained. There is a buffet, but it's gotten rather pricey over the past few years. Dinner will run you way past $20 a head. Breakfast, however, is a good deal and not bad tasting, either. The lunch and dinner at the buffet has that sort of everything-tastes-the-same kind of feel to it, and you can expect pretty much the same kind and quality of food each time you go, a bit above mediocre to say the least. 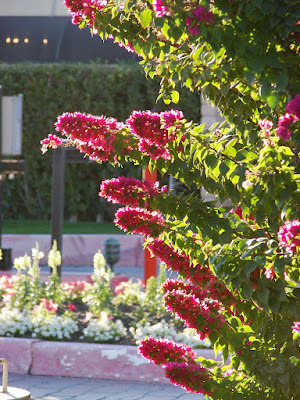 The grounds of the hotel are beautiful and much of the building is of mid-century modern design. Here's the contents of a plaque that's downtown in front of the casino. Makes for some interesting historical reading. 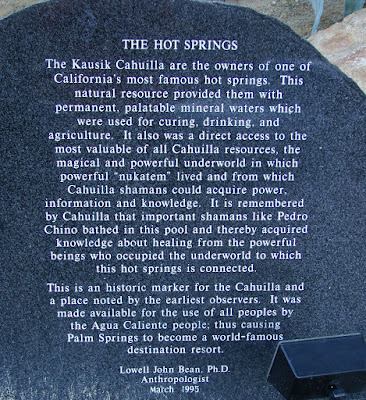 The Kausik Cahuilla are the owners of one of California's most famous hot springs. This natural resource provided them with permanent, palatable mineral waters which were used for curing, drinking and agriculture. It also was a direct access o the most valuable of all Cahuilla resources, the magical and powerful underworld in which powerful "nukatem" lived and from which Cahuilla shamans could acquire power, information and knowledge. 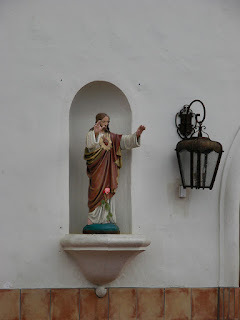 It is remembered by Cahuilla that important shamens like Pedro Chino bathed in this pool and thereby acquired knowledge about healing from the pwoerfull beings who occupied the underworld to which the hot springs is connected. Oh sure, there were tons of movie stars that used to come here in the 50s and 60s. 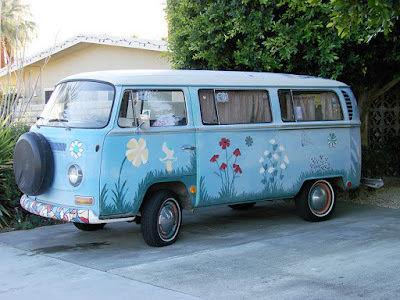 But, more importantly, Palm Springs has always attracted hippies. If you lived here in the 60s, you probably went up to the waterfall at Taquitz Canyon and partied it up a bit--swimming naked, smoking a little weed and so forth. Today, there are hundreds of people in Palm Springs in their late 50s and early 60s who haven't shed the tie-dye tee-shirts nor the long hair. 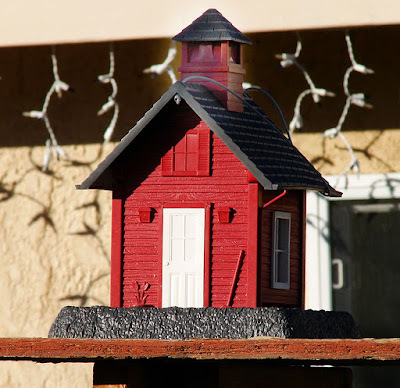 A bird house in a neighbor's yard. No city would be complete without a fire department. I'd like to think we have one of the finest. That's because the firemen are also paramedics so that if there's any emergency--fire or medical--the fire department is called. In 1985, Keith McCormick held an auto auction for the first time. He now has the auctions twice a year. The next one is from February 22 to 24. 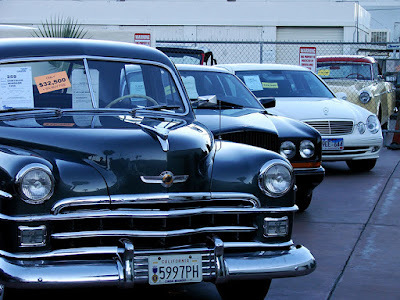 The auction will have 560 cars and will be held in the parking lot of the Spa Casino in downtown Palm Springs. 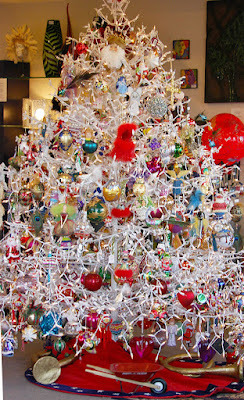 One of the many Christmas trees put up in stores up and down Palm Canyon Drive in Palm Springs. Click on the tree and check out the decorations that are hanging from it. I fed my roses in November when the temps were in the low 80s. 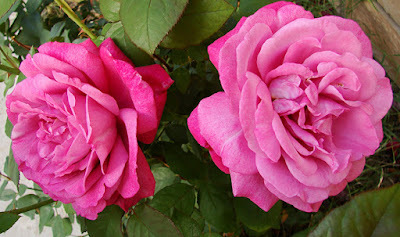 Now the temps are in the low 60s during the day and the 40s at night and the roses are bigger than ever. 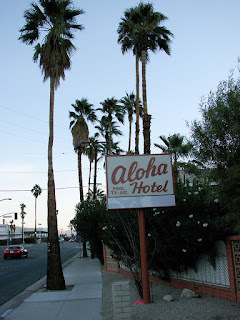 I'm sort of miffed about how there are so many places in Palm Springs with a Hawaiian theme. I'd heard that during the mid-century everything had turned modernist, which meant that minimalism was in. When people got sick and tired of looking at white walls, stone, concrete, steel and glass, they brought in a little Hawaii into their homes--Tikis, coconuts, hula dancers and whatnot. 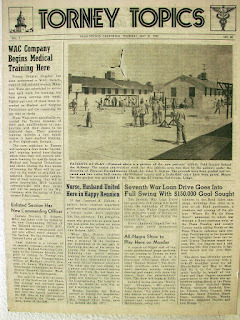 Click on the paper and check out the Palm Springs headlines for 1945. 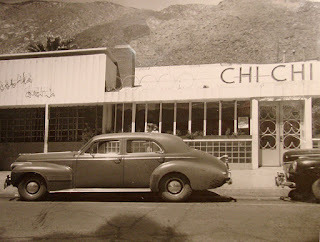 The Chi Chi (not Chi Chi club, just plain old Chi Chi) was probably the best entertainment venue Palm Springs ever had. Frank Sinatra, Dean Martin, Sammy Davis Jr, Peggy Lee, Nat King Cole, Sophie Tucker performed there and just about everyone went there. During the 40s and 50s the place was hot. In 1950, they added a supper club with a stage that retracted to an ice rink. I'd like to know the locations. I'm thinking there were two locations, the second being a more modern building (at least that's what it looks like from some of the pictures I've seen. Ahhhh, the thrift store, one of my favorite places. There are dozens in the Coachella Valley filled with hang-me-down treasures of the rich. 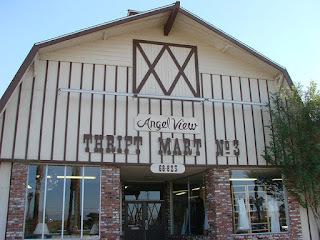 This store in Cathedral City, often referred to as "The Barn," raises money for the Angel View Crippled Children's Foundation. Somehow their use of the word "crippled" doesn't strike me as being too politically correct. Angel View's been around forever and I think the foundation was named in the 50s, hence the word "crippled." The foundation's headquarters are in beautiful Desert Hot Springs (okay, so that city gets a bad rap, I'm walkin' on water here). 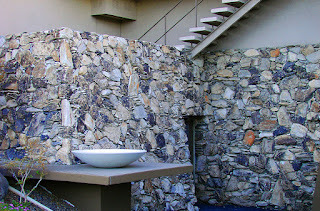 See the rocks that make up the wall in the picture above? They're called Palm Springs gold, seriously. I used to write articles about construction materials for Palm Springs Life magazine and one of the articles I wrote was about rocks in the area. This billboard's a tribute to Gerald R. Ford. He lived in Rancho Mirage before he died. Ford was president from 1974 to 1977. This coming Dec. 27 it will have been one year since he died. His obit can be found here. On the prowl for a classic car, always. 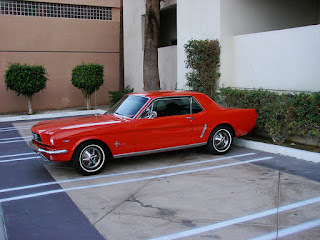 Here's a hot, red mustang. There are a slew of churches in Palm Springs. Some have religious symbols in front. Here are some direct links to the Web sites of a few. My guess is that this is the place where planes landed before there was an airport in Palm Springs. 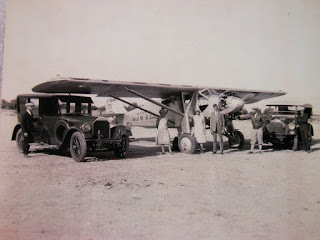 Photo from the Palm Springs Air Museum.